SUMMER SESSIONS – YOUTH EMPOWERMENT PROGRAM – YOUTH/VOLUNTEERS WANTED!!! Attention kids ages 10 to 14! Join us at NBC this summer for fun, bike rides, exploration, leadership, teamwork and community service. The Youth Empowerment Program will be held Sunday afternoons 1-3 p.m., June 19-September 18. Through a virtue-based curriculum, youth will learn bike safety/maintenance, engage in community service and leadership training, and facilitate two Bike Safety & Ridership Workshops for their peers as well as the greater Newark Community. 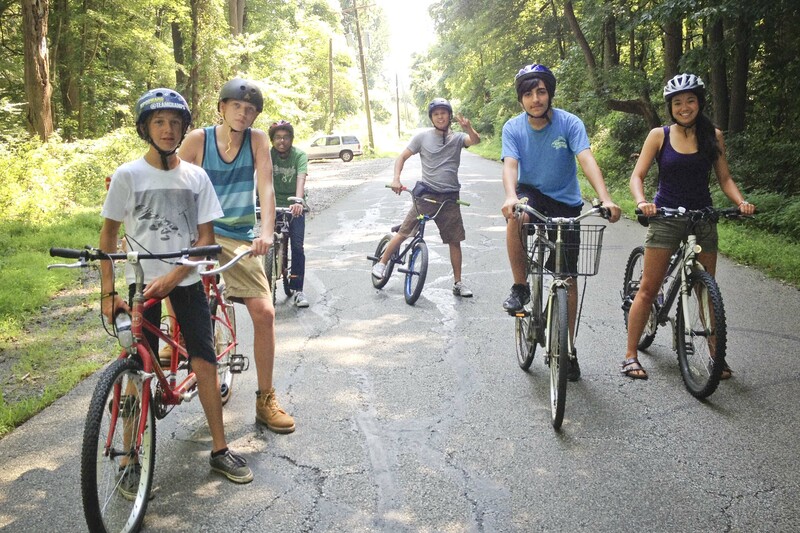 Facilitated by a team of the program director, staff, and volunteers, youth will focus on a new virtue each week, such as stewardship and teamwork, in activities like volunteering at the Community Garden and exploring White Clay Creek State Park. Each session will aim to incorporate a review of past virtues, education on the current virtue, a service activity, and a concluding reflection. How to sign up? Contact NBP at youth@NewarkBikeProject.org with your interest! The program will operate as a Gift Economy, in which families can pay whenever they want throughout the summer and however much they would like to contribute, no specific fee is required.